This next Aquasition was a complete surprise to me. I got a strange note from a friend and Aquaman artist, and then a few days later this arrived in the mail. 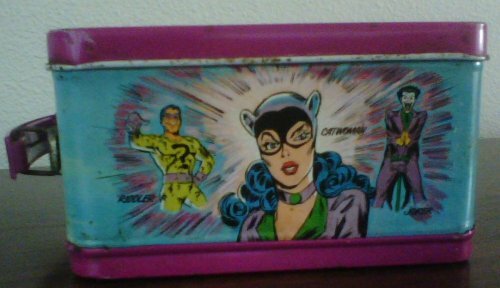 An Oz friend by the name of Freddy had been wandering garage sales while staying with the Aquaman artist, found this item, and thought of me! 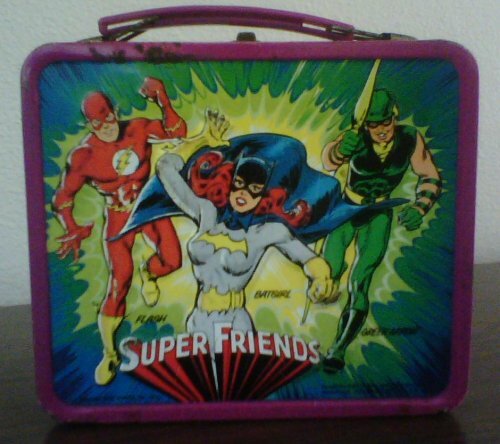 It's a DC Comics lunchbox, classic Super Friends era! The front has our standard trio with a tagalong. Superman! Wonder Woman! Batman! Oh, yeah, and Robin. Each one nicely labeled in case you don't know them by sight. And I LOVE the purple trim! 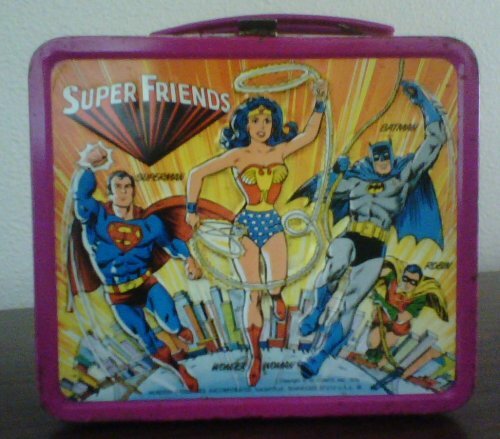 And here's the back of the lunchbox! We get Flash, Batgirl, and Green Arrow. Very cool! But... where's Aquaman? 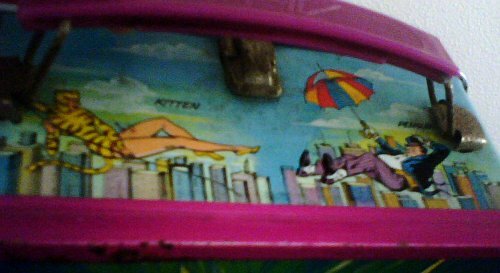 Here's a side of the lunchbox. The Riddler, Catwoman, and the Joker. Still no Aquaman. Here's the other side. 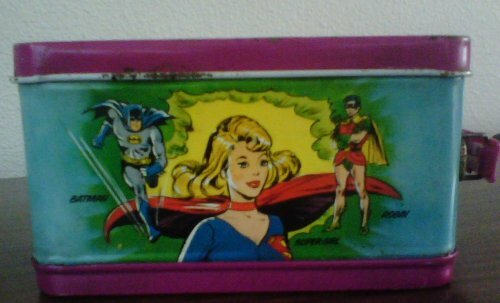 Supergirl... and hey, wait a minute! Batman and Robin again? Why not give somebody else a chance, you super-attention hogs! Ah! There he is! On the bottom with the good company of Hawkman and Green Lantern. 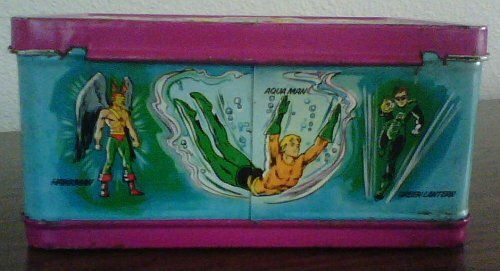 It's Aquaman's standard diving pose, but it means he's bigger and front and center from the other two. glad you enjoyed it so much :) i loved how many characters are on it. It's a win win for everyone !! !